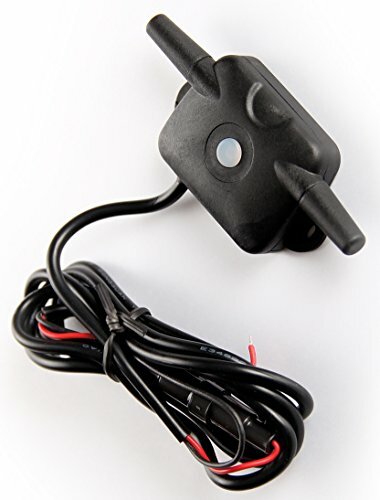 THIS BOOSTER/REPEATER IS RECOMMENDED FOR VEHICLES THAT ARE EXPERIENCING SIGNAL DROP OFF DO TO INTERFERENCE Interference can be caused by length, electronics or structural. The Repeater is designed to amplify the signal from your TPMS system sensors. In situations where length or interference prevents your monitor from receiving a signal, the Repeater increases the sensors transmitting distance. For Big Rigs and Vehicles in Drop and Pull operations where multiple trailers may be pulled by the same vehicle the Booster/Repeater has a "LINK" function. A booster can be placed on the front of each trailer to be pulled and will store the sensor data for that trailer. When the driver hooks up to that trailer they can merely "link" the trailer to the monitor electronically with no programming of the sensor required. ﻿ The Booster is recommended for Rigs over 50 ft or when a combination of Rig and Tow Vehicle exceed 50ft and the size of the vehicle and excessive metal may obstruct signal reception. Booster Features Operation temperature range: -20℃ to +80℃ Storage temperature range: -30℃ to +85℃ Power requirement: 12VDC to 24VDC Operation frequency: 433.92MHz Dimensions: 91(L)*38(W)*15(H) mm Weight: 42grams LIMITED WARRANTY If you are not happy with your purchase we offer a 15 day Money Back (Less S/H) Guarantee, if returned in original shipped condition with proof of purchase. Please contact the dealer you purchased it from. EEZ RV PRODUCTS will, within 36 months from date of original purchase, repair or replace free of charge any defective component (except batteries) which upon careful inspection is found, in our sole judgment, to have material or manufacturing defects. If you have any questions about this product by EezTire, contact us by completing and submitting the form below. If you are looking for a specif part number, please include it with your message.